Below are sets of Serbian flashcards. You can use the keyboard arrows (up/down to flip the card, right/left to go forward and back) or just click on the cards. You can also turn the audio on and off using the “Options” settings. These sets were created by other language learners from the Quizlet website. In order to get the most out of flashcards, it can useful to create your own list of words to study. This will attach more context and meaning to the words, which usually makes retaining the words easier. I would also recommend using a spaced-repetition program for learning vocabulary such as Anki or Memrise – both free. Spaced repetition is a great way to learn vocabulary more efficiently and can actually be fun! 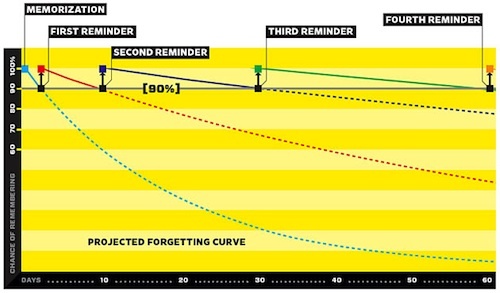 It at least takes some of the “heavy lifting” out of learning new words by reminding you at just the right point on the “forgetting curve“.